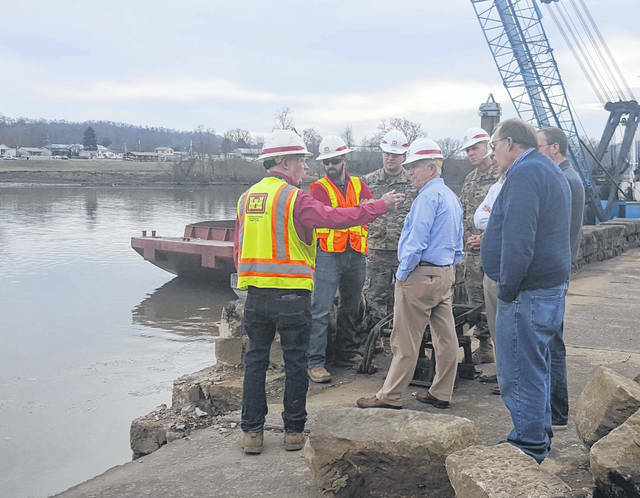 https://www.mydailytribune.com/wp-content/uploads/sites/42/2019/02/web1_2.5-Johnson-1_ne20192417515520.jpgMike Spoor, left, discusses the riverbank stabilization project with Congressman Bill Johnson on Monday afternoon. 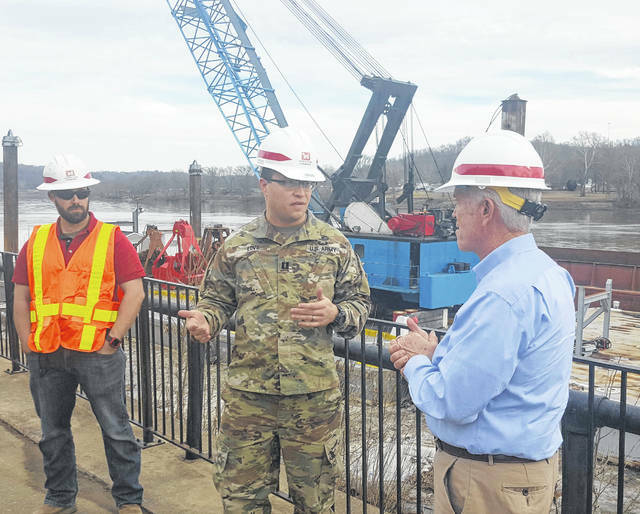 https://www.mydailytribune.com/wp-content/uploads/sites/42/2019/02/web1_2.5-Johnson-2_ne2019241751820.jpgCaptain Nolan Love, middle, talks with Congressman Bill Johnson, right, about the riverbank stabilization project. 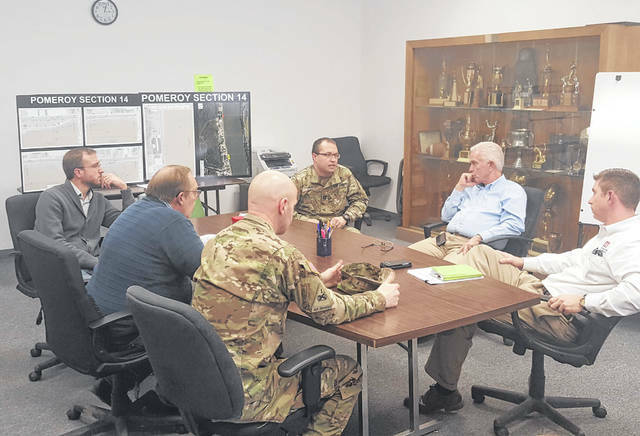 https://www.mydailytribune.com/wp-content/uploads/sites/42/2019/02/web1_2.5-Johnson-3_ne20192417521915.jpgPomeroy Village officials and U.S. Army Corps of Engineers representatives met with Congressman Bill Johnson on Monday afternoon. 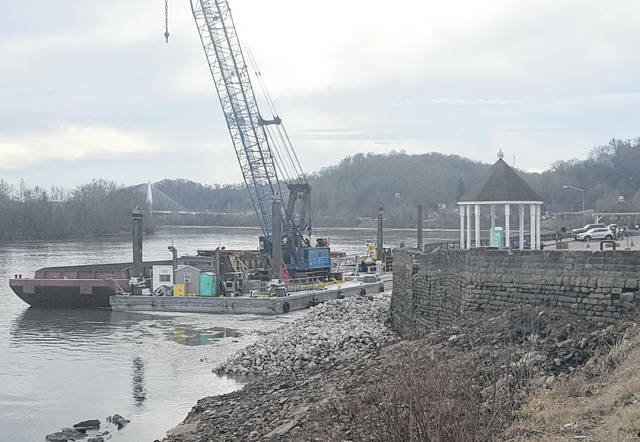 https://www.mydailytribune.com/wp-content/uploads/sites/42/2019/02/web1_2.5-Johnson-4_ne20192417524951.jpgRock has begun being placed in front of the parking lot wall as part of the riverbank stabilization project. https://www.mydailytribune.com/wp-content/uploads/sites/42/2019/02/web1_2.5-Johnson-5_ne20192417527778.jpgU.S. 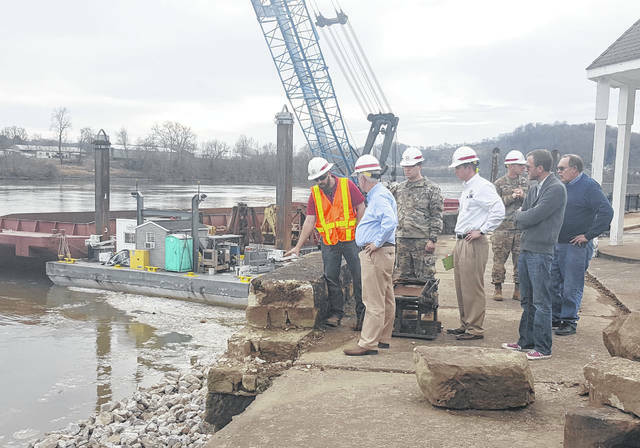 Army Corps of Engineers representatives discussed the riverbank stabilization project with Congressman Bill Johnson and village officials on Monday.